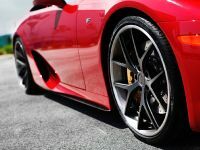 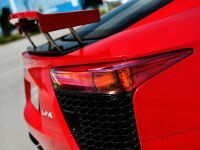 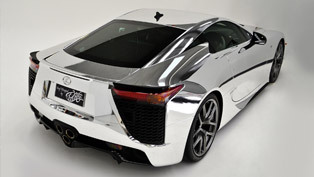 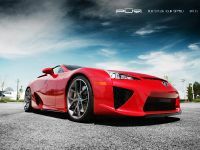 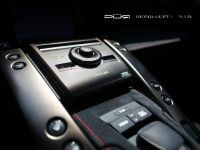 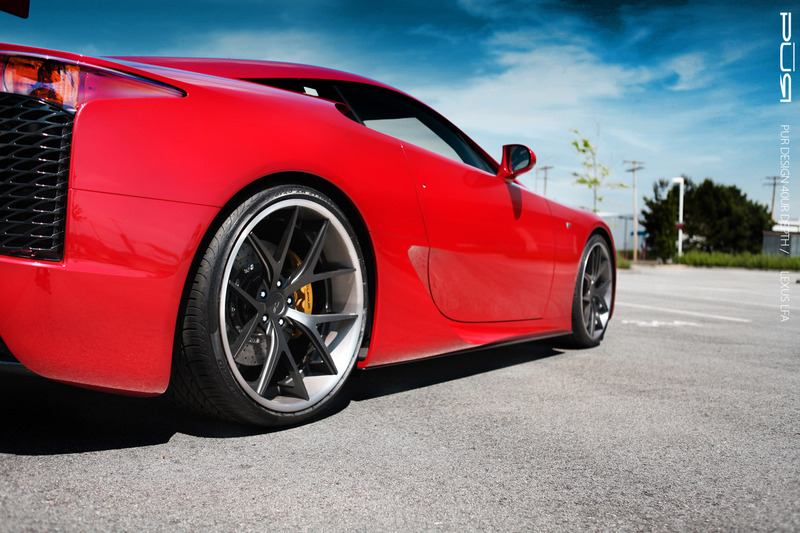 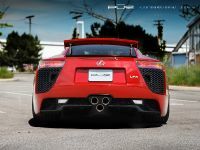 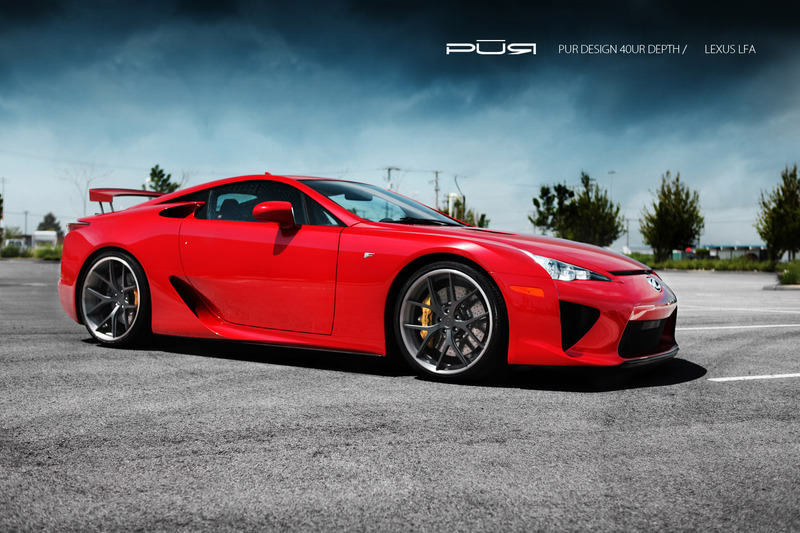 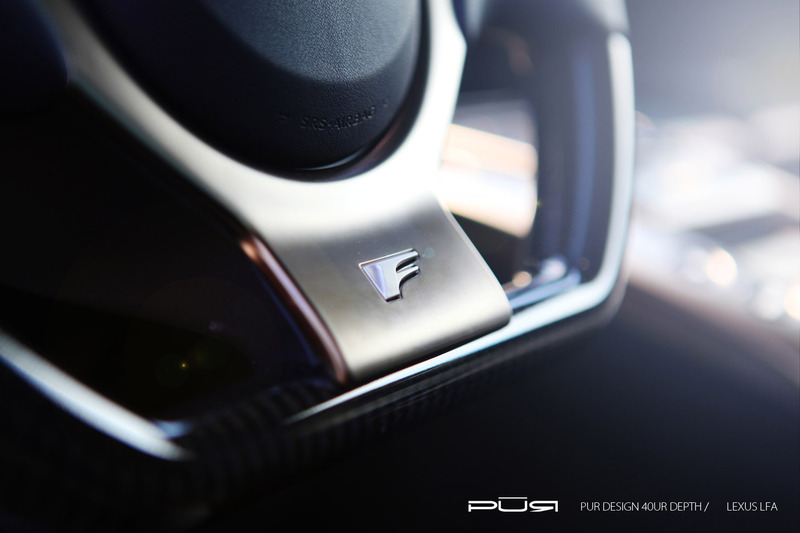 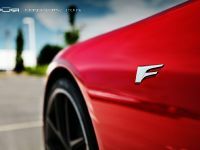 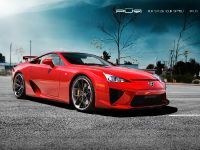 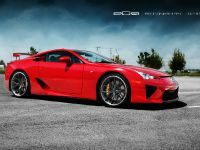 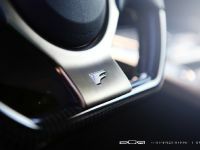 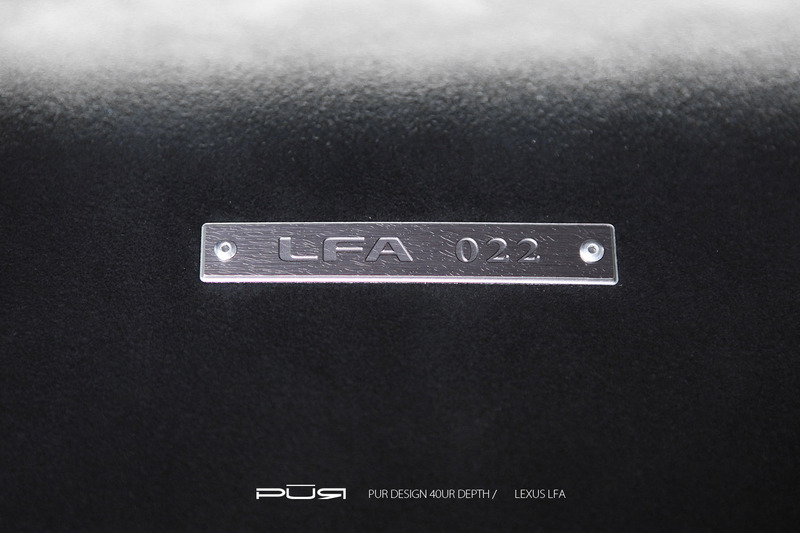 PUR Design has released their tuning package for one of the fastest cars in the world - Lexus LFA. 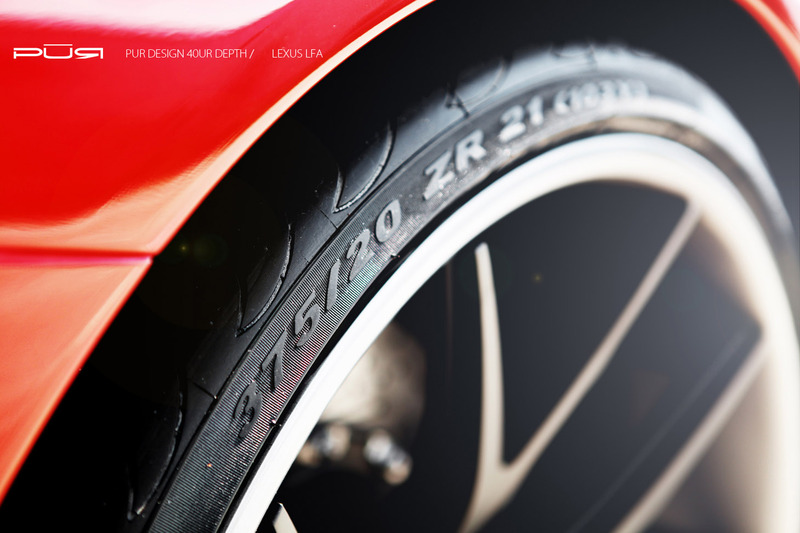 The hyper car is now even more stunning and aggressive. 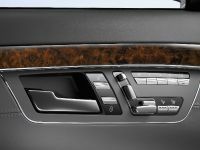 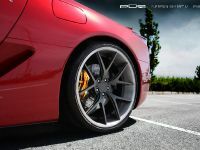 It comes with complete aerodynamics package, but without any performance mods, which are not needed. 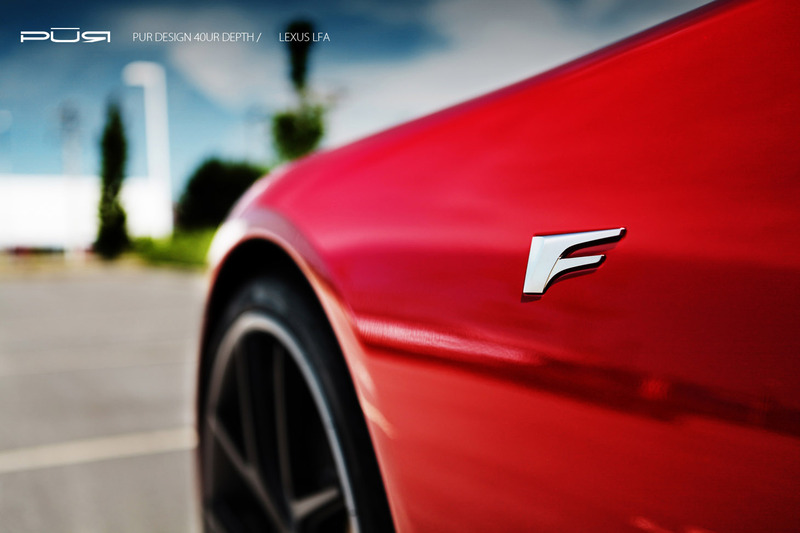 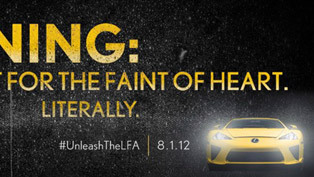 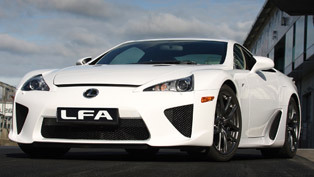 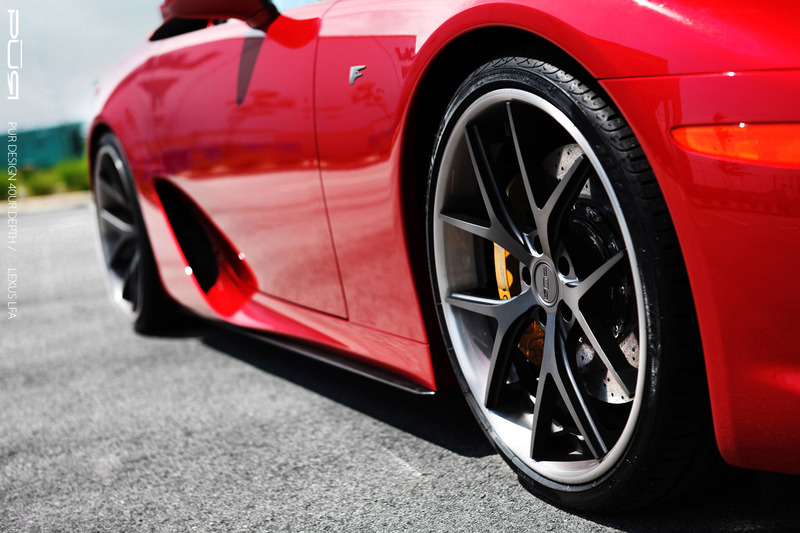 The LFA is powered by a 4.8 liter naturally aspirated V10 engine equipped with dual VVT-I. 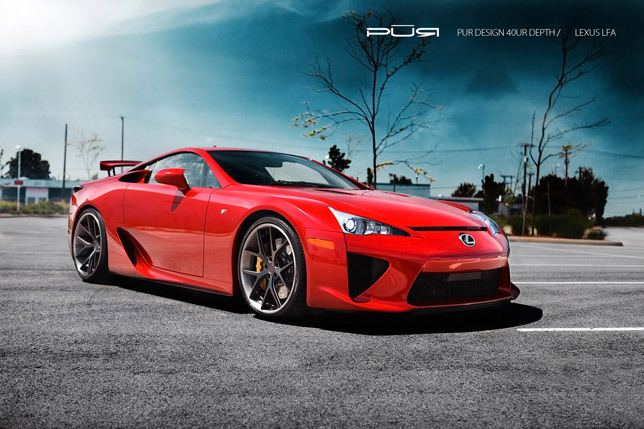 It has 560HP (412 kW) at 8700RPM and 480Nm (354 lb-ft) of torque at 6800RPM. 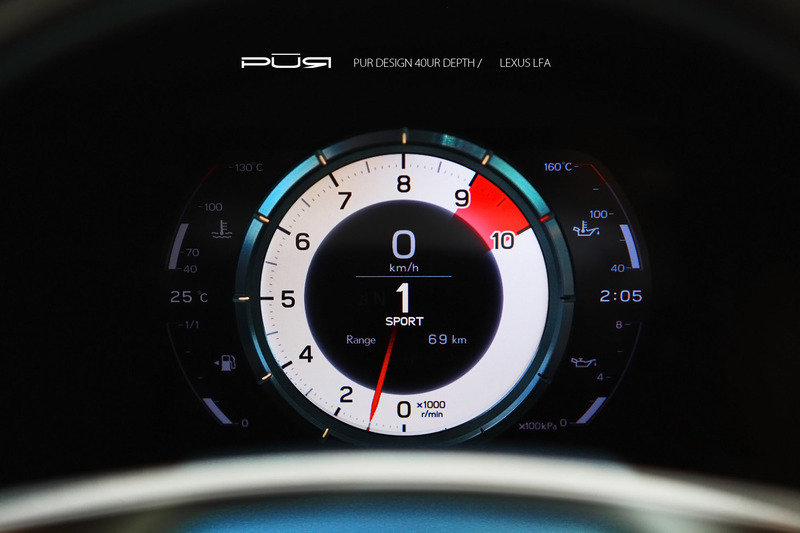 The red line is at whopping 9500RPM. 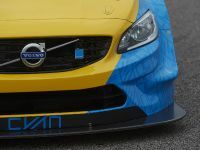 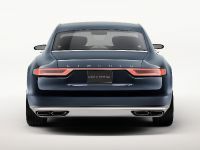 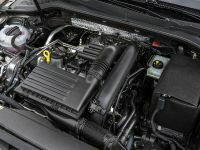 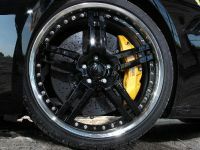 The engine has forged aluminum pistons, forged titanium connecting rods, and solid titanium valves. 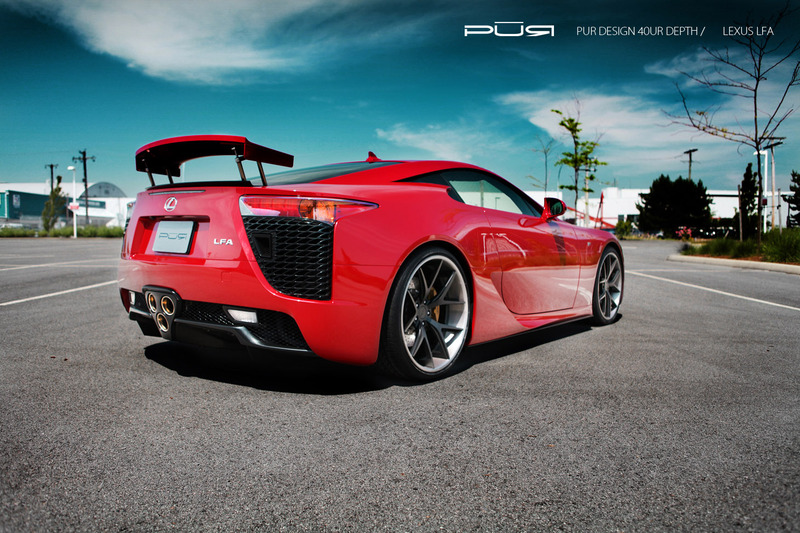 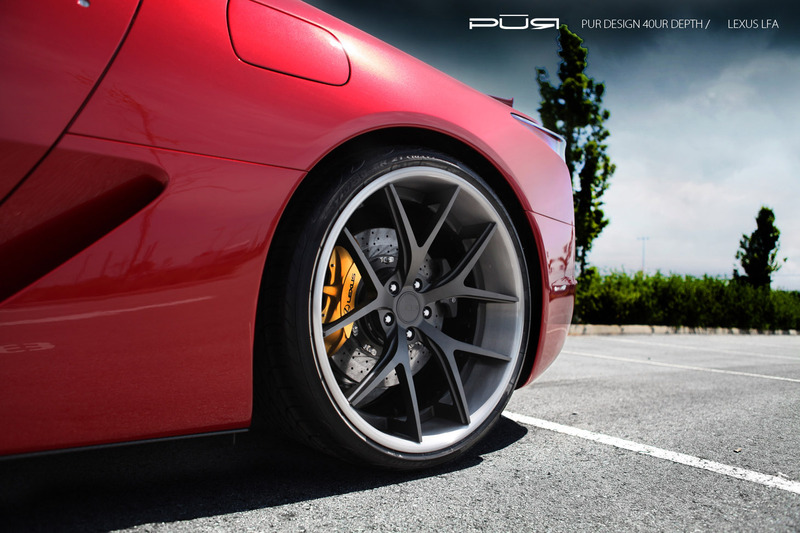 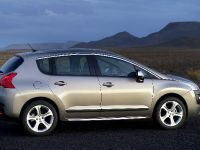 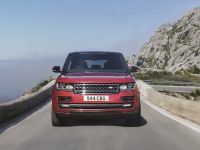 The curb weight of the vehicle is just 1 480kg (3 263 lbs), so the performance is sensational. 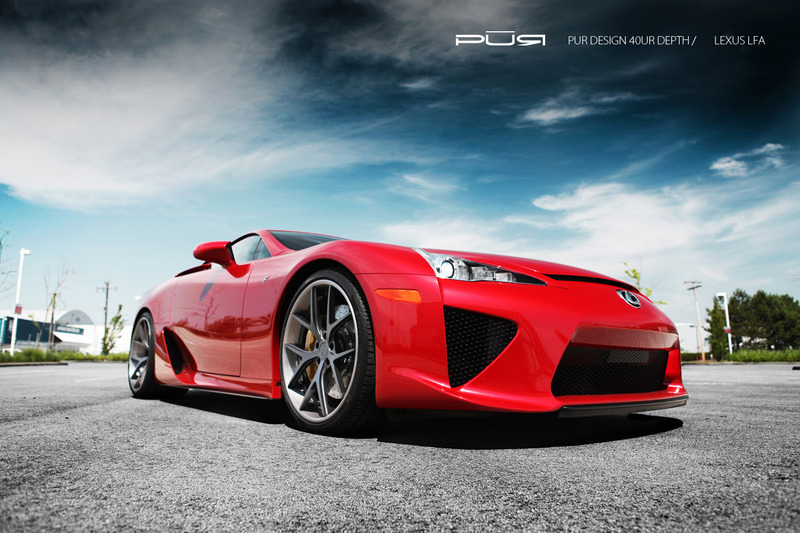 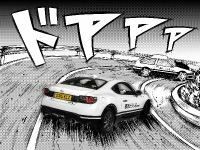 0-100 km/h in 3.7 seconds and a top speed of 326 km/h (203 mph). 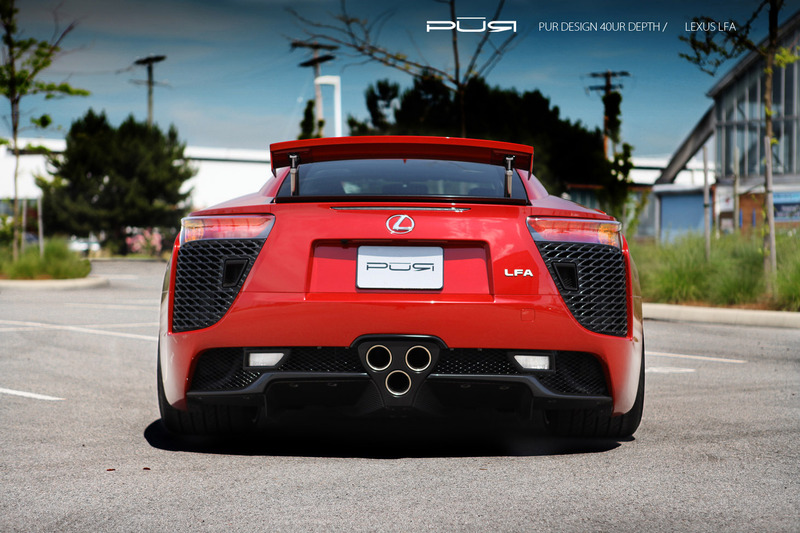 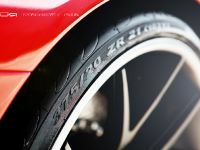 Power-to-weight ratio is 2,64kg / hp. 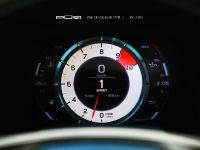 The more interesting 0-200 km/h discipline is covered in 11.4 seconds and ¼ mile in 11.6 seconds with 201 km/h (125 mph) terminal speed. 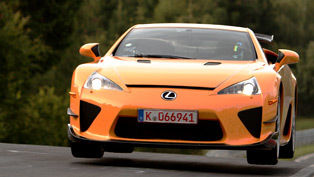 The Nürburgring Package LFA was tested at the Nürburgring in June 2011. 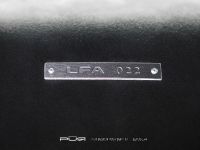 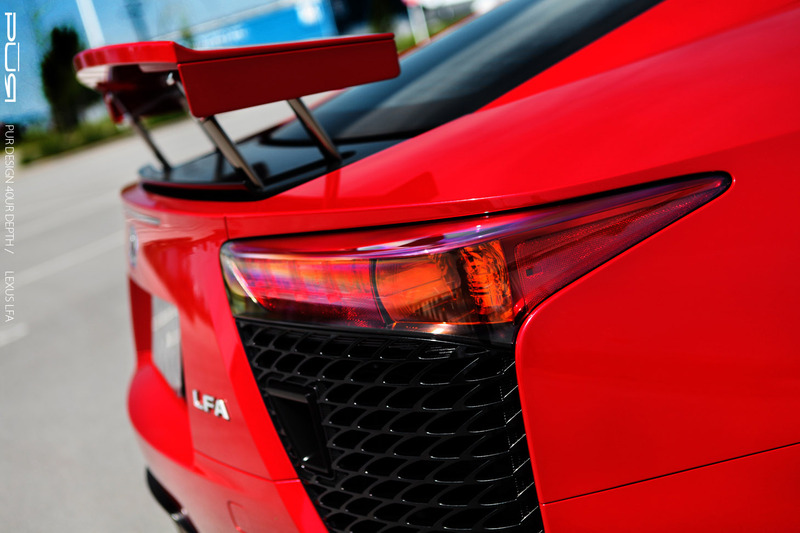 Driven by Akira Iida, the LFA set a time of 7:22.85.